What’s the best source for 4K content? So you went and bought a new 4K TV at the local big-box store. Most people looking for larger TVs are going this way now since there simply isn’t that much of a price difference between 4K and HD and it seems like it’s probably better to be futureproof. Most of this content isn’t free, even if you’re a subscriber. YouTube’s 4K selection isn’t that great but at least all of it is free. Netflix does give you “all-you-can-eat” 4K but only if you pay a few dollars extra a month for 4K service. The other providers will charge you for every single bit of content you stream. From my personal experience, you’ll consume most of the free content within a week. 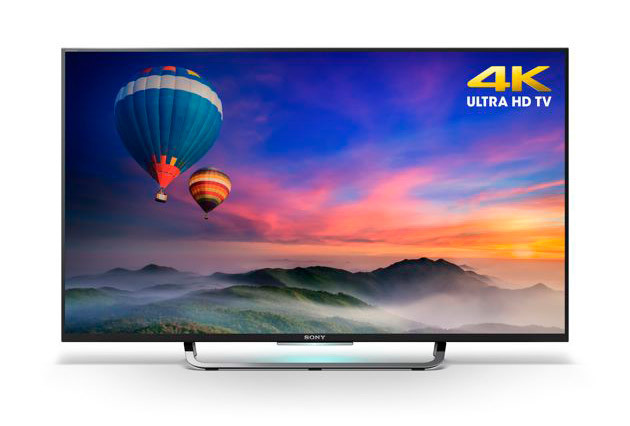 It might take you a little longer than that if you’re really committed to 4K. There are some very boring things out there, and there’s Better Call Saul and Daredevil both of which I already saw in HD and I wasn’t going to rewatch. As for the paid stuff, that’s up to you. There are a growing number of 4K pay-per-view options, which leads me to…. At this point, if you’re a DIRECTV subscriber and you already have the right hardware, you’ll find the largest selection of pay-per-view content on DIRECTV. Prices are higher than they are for HD, but this is the most complete 4K rental source and it’s going to be better quality since the content downloads to your hard drive. 4K that streams real time is going to be poorer quality, guaranteed. DIRECTV is also the only source at the moment for live 4K including sports and special events, and it’s the only place you can get three channels of 4K content. I’ll admit that some of that content isn’t so great either but it’s more than you will find anywhere else. What about Ultra HD Blu-ray? I know that one of our guest bloggers is a real fan of Ultra HD Blu-ray, and there’s no doubt that it is going to be the absolute best quality you’re going to find. If you’re going to buy content to keep permanently, if you’re still into that, I would invest in Ultra HD Blu-ray but do know that I really mean invest; it’s very expensive and likely to remain a niche product for all of its lifetime. The quality of Ultra HD is astounding, and the selection of new content isn’t bad, but if you’re looking for “Catalog” stuff, you know, older stuff, you won’t find it. And to be honest, I’m not sure you’ll ever find it. Nor will you really care. Unless we’re talking about a film shot in the last decade and mastered in 4K or 8K, there isn’t likely to be a real difference between HD Blu-ray and 4K anyway. The real place to find 4K content? Honestly, it’s “the future.” Of all providers, DIRECTV is further ahead in the 4K race but it’s probably going to be years before we see the level of HD penetration we saw even ten years ago, if ever. It’s hard to know if content providers will jump in with live 4K channels the same way they did with HD channels back ten years ago. Should you buy a new A/V receiver with Dolby Atmos? How can you “Mark and Delete” with the new Genie menus?